Ques: How would you create lag(s) of various orders of a variable in SAS ? Ans : Using lag n (x) function, Simple ! Ques: How would you create moving average of a variable in SAS? Ans : Will take various lag, and then will take average ? 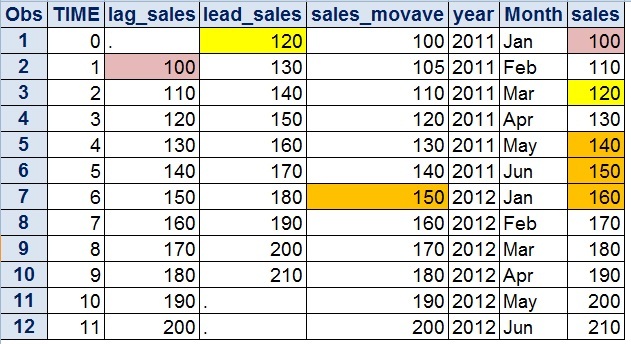 Ques : How will you create lead(s) of various orders of a variable in SAS ? Ans : We can't ... No function available for this, sorry ! Are you sure ??? Don't be. 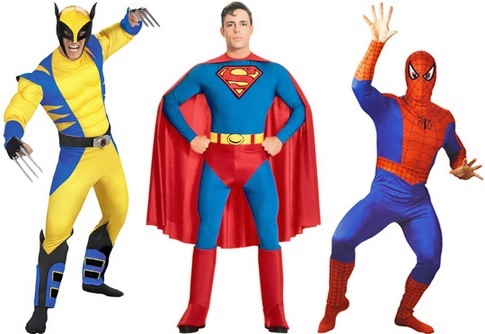 Here comes one of the most versatile SAS procedures that would make you a super hero. Let's use the following data for understanding it. It would give you lag of first order, lead of 2nd order and moving average of 3rd order (you can customize orders). By the way, in the demo data, we had data only for six months for year 2011, so principally data for Jun 2011 and Jan 2012 should not act as lead or lag ... there should be a break by year. In the above example data was already sorted in the order by Year, otherwise you had to first use proc sort to do so. You can use this procedure for creation of lags, moving averages during modeling exercise for transforming the variables. Answer was wrong. You can invert the data, take lag ... and invert the data once again .... You get your lead.